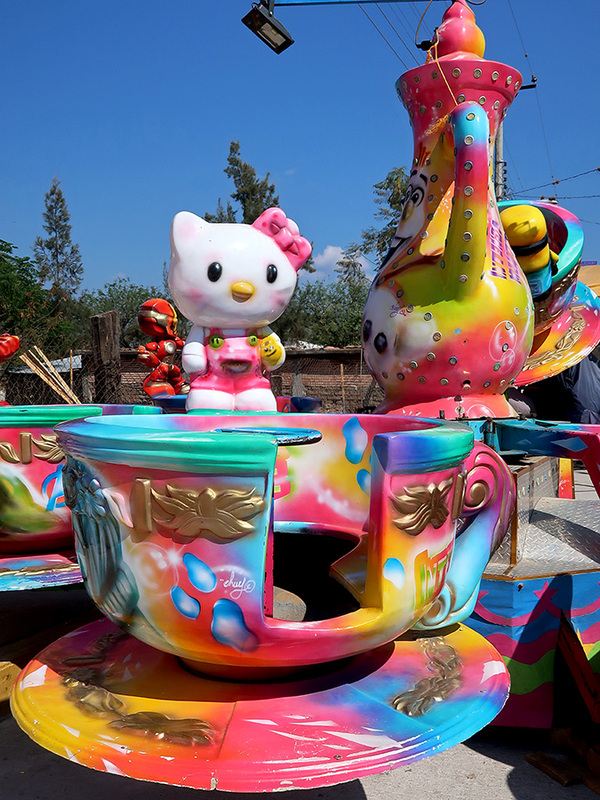 Colorful but creaky carnival rides with familiar figures for the kiddos always seem to be a part of fairs and festivals in Oaxaca. These from the Feria del Carrizo in San Juan Guelavía. Today, Mexico is celebrating Día de Reyes (aka, Three Kings Day and Epiphany). It is this morning, not Christmas, that children wake up to find gifts brought during the night not by Santa Claus, but by the Magi. Melchor, Gaspar, and Baltazar have had plenty of time and places to shop. Several days before December 25, in the aisles of my local supermarket, toys had already replaced Christmas decorations. 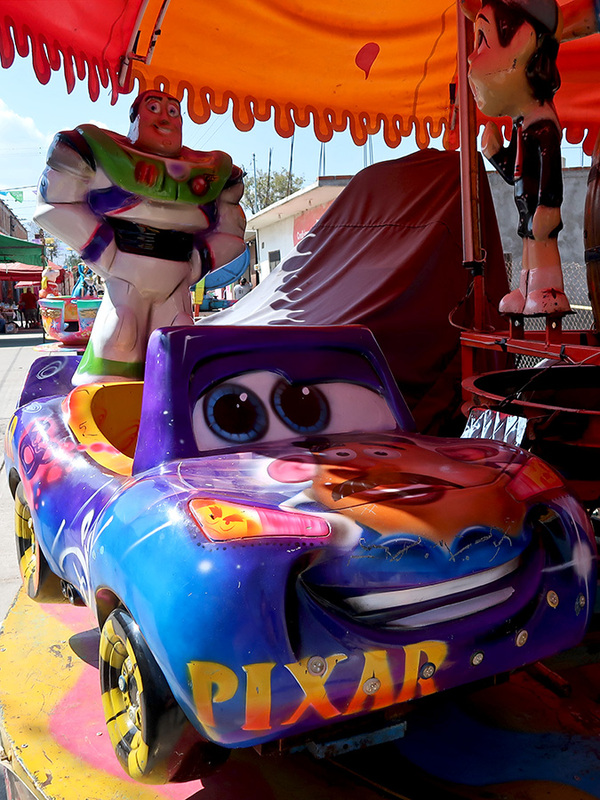 Llano Park was turned into Oaxaca’s version of a pop-up Toys R Us. Puestos (stalls) filled the park, selling everything from dolls to sports equipment, balloons to books, and even something for the family dog. 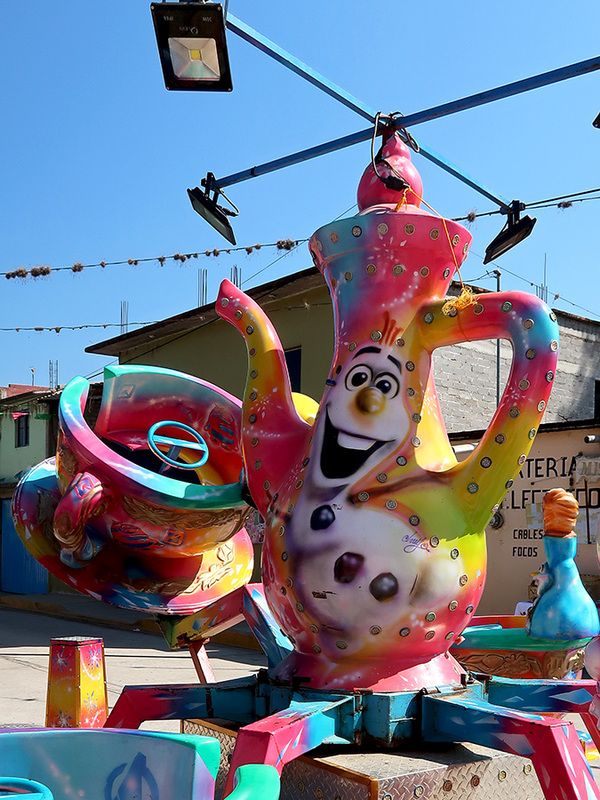 There were (dicey looking) carnival rides and food stalls offering the usual bounty of street food and the traditional Rosca de Reyes.